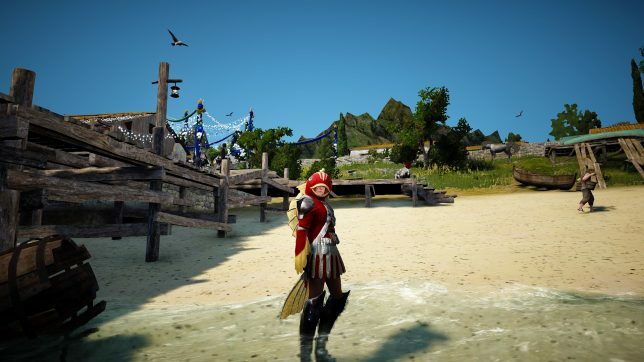 Black Desert Online is not the type of game I usually get into. When I started the game, in fact, I had no idea what I was getting into. I knew it was a gorgeous-looking action-MMORPG, but I was clueless as to the extent crafting and trade played in the game. The open world of Skyrim never could hold my attention, and Archeage, though pretty, turned out to be more trouble than it was worth. So, chances were high I wasn’t going to put much time into this one. However, as I would find out, knowledge is power in this world of politics, spirits, and corruption pitting the Republic of Calpheon against the Kingdom of Valencia, and this mechanic made me love Black Desert Online. Starting out in the town of Olivia, this photorealistic fantasy game is simply gorgeous, but it is not without its flaws. 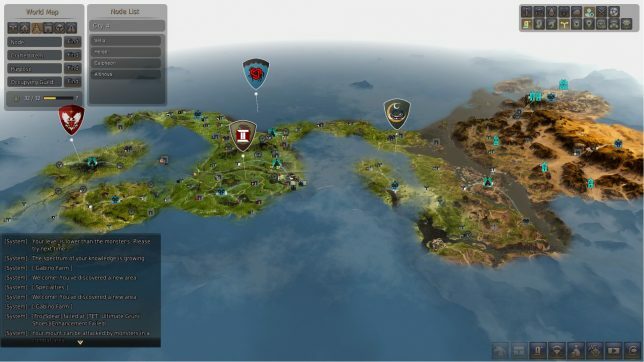 The annoying onscreen messages defaulted to on, the repetitive yapping of NPCs, the heavily-marked three-dimensional map, and the atypical skill tree menu threw me off greatly. I come from simpler days. However, I forced myself to play on. Then, when I realized I was playing a sandbox MMO with the goal to craft and trade, I most assuredly was not going to continue. Yet, still I kept on. I’m feeling a bit eel. I think the photorealism of the characters and world, along with the cuteness of the black spirit companion, kept me going. Even on my aged PC, the game is still visually captivating. As leveling is quite quick and easy through the simple slaughtering of foes with your daily grind EXP boost, I didn’t feel hurried to level and decided to head out and explore this world. Exploring virtual environments is something I love to do, and a game is only as good as to how much of its world it allows you to reach. This is how the game grabbed me. 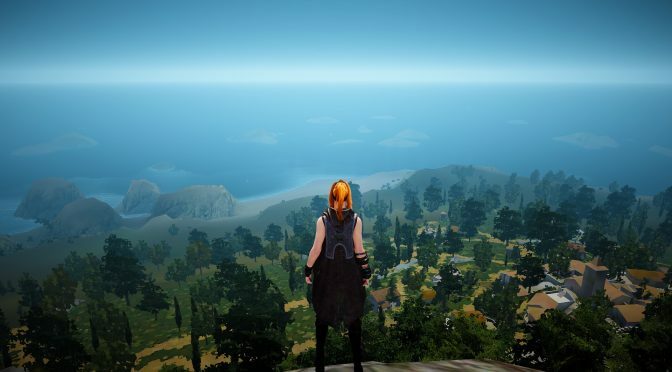 It’s a big, beautiful world to explore in Black Desert Online, and by the time I was on the edge of an actual desert in the expansion zone of Mediah, the game had won me over. Then it just got better. The revealed fraction of the world I’ve explored. Black Desert Online is really a game about knowledge. Starting out I knew you were supposed to talk to people, but it took me a while to discover the extent of it. Some NPCs simply will not talk to you if you haven’t spoken with another NPC first, and, in at least one case I’ve encountered, built Amity with two other NPCs through striking up conversations with them. What’s more, entire quest chains are unlocked inconspicuously through this method. I went back to the city of Velia to do some quests I had skipped my first time there when I got eager to get out and explore. After doing quest after quest after quest, I finally talked to some random kid with a quest fishing at the docks. Soon enough not only was I learning about fishing, a humanoid Otter was teaching me how to build a fishing pole. After that, I was referred to another guy who directed me to hire workers and build a raft, which is currently nearing completion. None of this would have been made accessible had I not first talked to that kid fishing. Mr. Owl, how many licks does it take to get to the Tootsie Roll center of a Tootsie Pop? Consequently, this game has gotten me to reflect on how we gain knowledge in our own world and what we choose to do with it. It’s gotten me to appreciate the roles transportation and capitalism have played in the advancement of human civilization and to ponder the relations of human capital to the means of production. I didn’t ask for this. I just wanted to play a video game. 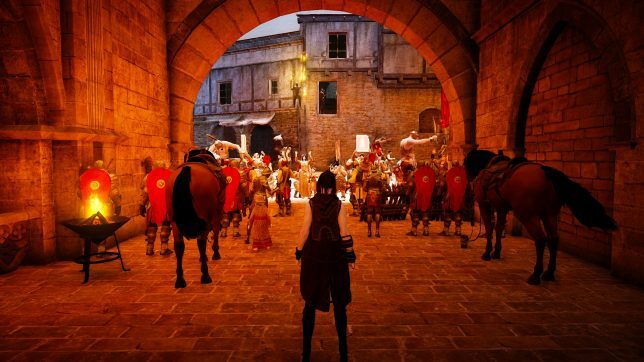 Black Desert Online elevates tediousness to an artform. Unlike in our reality, where work often goes unrewarded, there is definite payoff and payout to our daily struggles as we pursue our goals in this game. It’s a video game that makes learning and planning fun. Mindless shooters and cartoony platformers have their place, but so do overly complex fantasy games about trade and economics. Who knew? Citizens of the Republic of Calpheon protest living conditions in the slum. Available in Europe and North America through Kakao Games, Black Desert Online is buy-to-play but reasonably priced at only $9.99. I started with the seven day free trial and purchased the Starter’s Package when it was half off at Christmastime. The cash shop is mostly cosmetic items, and I just know if I’m not careful I’m going to blow a lot of money there. A Chinese New Year outfit was just made available for a limited time. How can I resist? 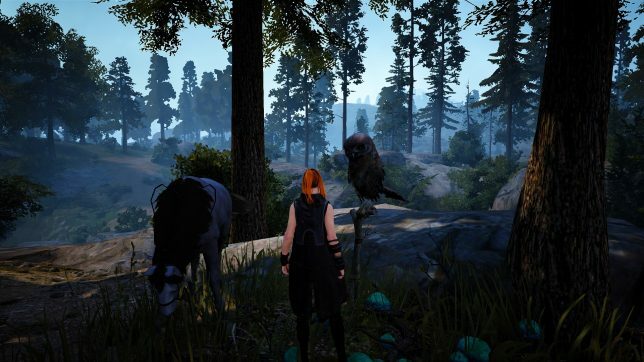 If you do jump into Black Desert Online, do yourself a favor and complete all the early quests and read and listen to everything or you will most likely find yourself lost. For me, the learning curve was steep, but the game does teach you how to play a good deal of it, and, fortunately, every issue I’ve had Google gave me the answer as a top result. It’s a game I most definitely wasn’t going to keep playing, but I’m glad I did. Previous PostCastlevania II Vinyl Now AvailableNext PostHappy Lunar New Year!